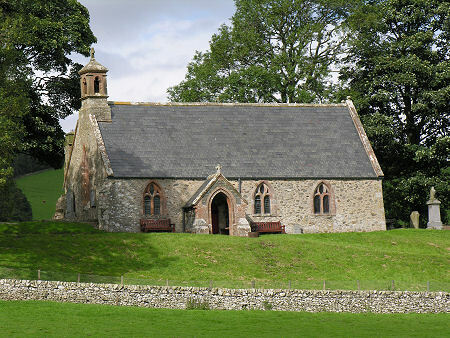 Lyne Church occupies the brow of a small, pronounced ridge a hundred yards north of the A72 at a point a little under five miles west of Peebles. 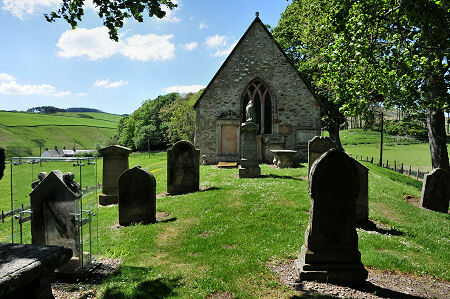 Access is along an extremely minor road that leaves the A72 a little to the west of the church and encounters a locked gate where it begins to curve round to approach the church. It is possible to park here in a way that will not cause an obstruction. Records suggest that there has been a church here since the 1100s, at which time it was a "dependency" or subsidiary of Stobo Church. 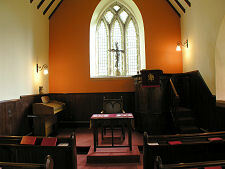 It became a parish church in its own right in the early 1300s. Nothing now remains of this earlier church and it is tempting to speculate that the earlier church was totally demolished before the church you see today was built on the same site. The only significant external change was the addition of an entrance porch in the 1800s. 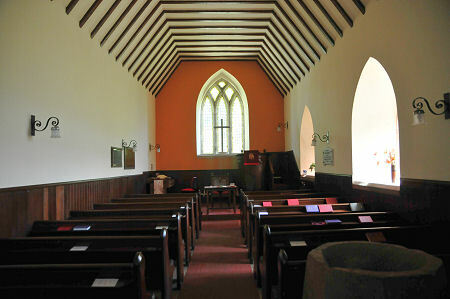 The church underwent a major restoration in 1888. Another, exactly a century later, saw the removal of the roof back to the main beams alongside work on many other aspects of the church. 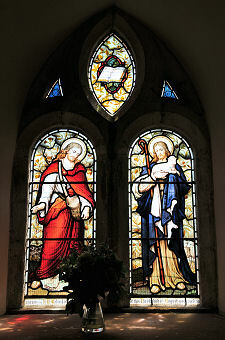 The result was that when the first post-restoration service was held on 5 November 1989 it was in a church that in many ways was in a better condition than it had been when first built. Lyne Church is not a large building externally, and with walls over a metre thick, what you find inside is a remarkably intimate space. And a remarkably original one. You'd expect a restoration in the late 1980s to respect the character of the church: it comes as a relief to discover that the 1888 restoration was also done sensitively. 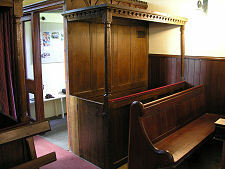 As a result it is still possible to enjoy the unusual canopied pews at the rear of the church, and the original wooden pulpit, all dated 1644. Near the door is a massive stone font which seems to have been the only feature to survive from the original medieval church. 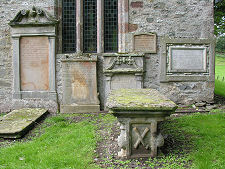 The church stands in a small churchyard, with most of the graves to the east or west of the church itself. 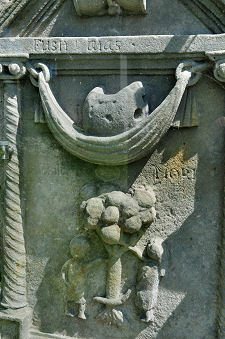 The earliest dated stone is from 1707 and there is also an "Adam and Eve" stone depicting the ill-fated couple which dates back to 1712. 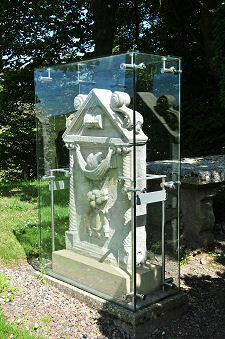 It is wonderful to see that this has been restored and protected by a perspex case: all too often magnificent post-Reformation gravestones have been left to fend for themselves elsewhere in Scotland. Two hundred yards to the north east of the church is Abbey Knowe, the site of a Northumbrian cist cemetery from the 600s-700s. Its existence suggests that there may actually have been a church in the immediate vicinity 500 years before the establishment of Lyne Church itself in the 1100s.